China Liu Shiwen defends her women’s singles title at the forthcoming Seamaster 2019 ITTF World Tour Platinum, Qatar Open; she is the no.3 seed, behind colleague Ding Ning and Japan’s Kasumi Ishikawa. Play commences in Doha on Thursday 28th March being preceded by a two day qualification tournament starting on Tuesday 26th March. Also from China, Wang Manyu is the no.4 seed; the player Liu Shiwen beat in last year’s final, after having started her journey in the qualification stage of proceedings. However, more significant is the name of Ding Ning, they have met in three ITTF World Tour Qatar Open women’s singles finals, they confronted each other in 2011 and in 2016 when Liu Shiwen prevailed and in 2013 when the verdict went in favour of Ding Ding. Furthermore, it is not beyond the bounds of possibility that they could meet again in the final; they appear in opposite halves of draw. Notably, Ding Ning is in the same quarter as Japan’s Mima Ito, the no.5 seed, the player against whom she suffered defeat in the penultimate round last November in Sweden; thus she has a debt to settle. In the same half of the draw as Ding Ning, also appears the name Wang Manyu, a player against whom Ding Ning has experienced problems; in fact in world ranking events, Ding Ning has never beaten Wang Manyu. 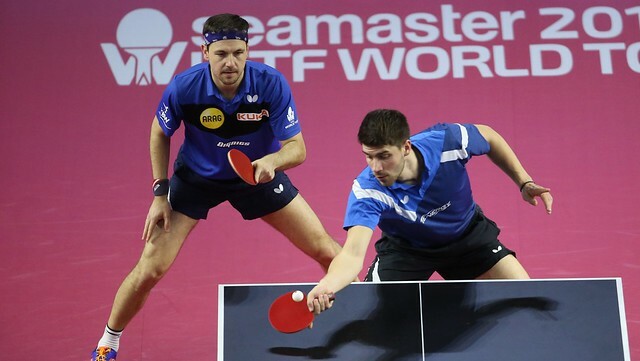 On last year’s Seamaster ITTF World Tour they met on home soil in China and in Austria; in seven games encounters Wang Manyu won on both occasions. Two potential severe tests face Ding Ning if she is to renew acquaintances with Liu Shiwen; for Liu Shiwen, the odds are stacked in her favour. She is in the same quarter as Chinese Taipei’s Cheng I-Ching, a player she has met on seven occasions in world ranking events and has conceded a mere two games in those encounters. In the same half of the draw is Kasumi Ishikawa; a player against whom in ten meetings on the international scene, Liu Shiwen has never experienced defeat. A place in the final, it would be her sixth in Doha, in addition to three confrontations with Ding Ning and last year when facing Wang Manyu, in 2010 she was beaten in the title decider by colleague, Guo Yue. Progress this year, it will mean that she has competed in more ITTF World Tour Qatar Open women’s singles finals than any other player. The lady who heads the list is the now retired Zhang Yining, it is her record of wins that Liu Shiwen aims to match. Zhang Yining won in 2005 and 2006, in addition she succeeded in 2008 and 2009; she was the runner up in 2002 beaten by Wang Nan. Now in 2019 will Liu Shiwen once again meet Ding Ning or Wang Manyu in the final or could the likes of Miu Hirano, in the same quarter of the draw as colleague Kasumi Ishikawa, or Mima Ito upset the odds, if so it would be a first. No player from Japan, in 20 editions of the tournament, has ever reached a women’s singles final in Qatar; could the 21st be the coming of age for the Land of the Rising Sun?